Greetings from KoMiCo. 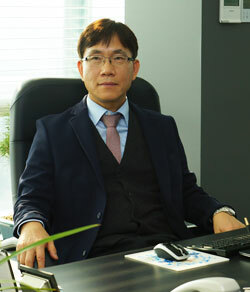 I'm Yong Ha, Choi, the CEO of KoMiCo. To become a world-leading global semiconductor equipment parts cleaning and coating company. Continuous R & D, relentless growth through new technologies and advance to global market. These are the goals and the greatest value of Komico. Komico was the first company in Korea to commercialize semiconductor parts cleaning and coating in 1996. In August 2013, it has been established as a new corporation by splitting the existing subsidiary from Mico, and opened facilities in five countries worldwide including USA, China, Taiwan and Singapore. We are the global No.1 company that has been certified by the world's top semiconductor chip makers with cutting-edge cleaning and coating plants in each location. Thanks to recent development of the 4th industrial revolution of artificial intelligence, autonomous driving and big data, demand for memory such as DRAM and Nand Flash as well as non-memory market such as system IC and logic IC are on the rising. Higher integration of semiconductor chip is steering the process to gradually more microscopic and complex, and, as a result, cleaning and coating technology is becoming a very important process. In line with the technological changes of this semiconductor advanced process, Komico is building up its growth based on prudent projection on the complex and diverse needs of our customers, and delivering the best solution. We are energetically ready to handle customer needs by continuously researching new technologies, improving quality, shortening delivery time, and improving work environment. We are also contributing to productivity and yield improvement of our customers through speedy new technology development and production process innovation. In addition, we are expanding new cleaning and coating market through collaboration with semiconductor OEM equipment companies, and securing various Biz portfolios by developing carbon composite materials for the solar industry and high temperature heat treatment industry. Komico will continue to expand its existing business and diversify market into a successful global company with new cleaning and coating technologies. We will strive to become a global leader in the cleaning and coating of semiconductor equipment components that create value for our customers. We will continue to make efforts to build the corporate culture of "ethical management" throughout the company based on the fairness and transparency of corporate management. I would like to express my gratitude to all those who have given unwavering support and concern to this day, and ask for continued interest and encouragement.